Emmanuel Falque's The Wedding Feast of the Lamb represents a turning point in his thought. Here, Falque links philosophy and theology in an original fashion that allows us to see the full effect of theology's "backlash" against philosophy. 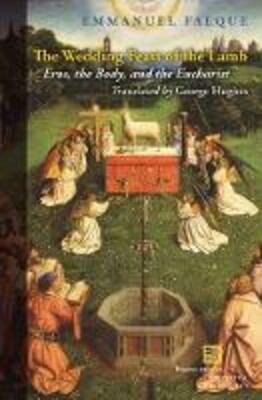 By attending closely to the incarnation and the eucharist, Falque develops a new concept of the body and of love: By avoiding the common mistake of "angelism"-consciousness without body-Falque considers the depths to which our humanity reflects animality, or body without consciousness. He shows the continued relevance of the question "How can this man give us his flesh to eat?" (John 6:52), especially to philosophy. We need to question the meaning of "this is my body" in "a way that responds to the needs of our time" (Vatican II). Because of the ways that "Hoc est corpus meum" has shaped our culture and our modernity, this is a problem both for religious belief and for culture.